Climbing onto the launching pad with three weeks and counting to lift-off, I’m happy to say I have a launch date and venue for the publication of my artist book/comic/ehon Blotting Paper: The Recollected Graphical Impressions Of Doctor Comics, Issue #1 The Ingurgitator. The date is 11 February 2012 at Hondarake bookstore, Level 1, 465 Kent Street SYDNEY. Around 3pm. Posters and flyers are on the way. 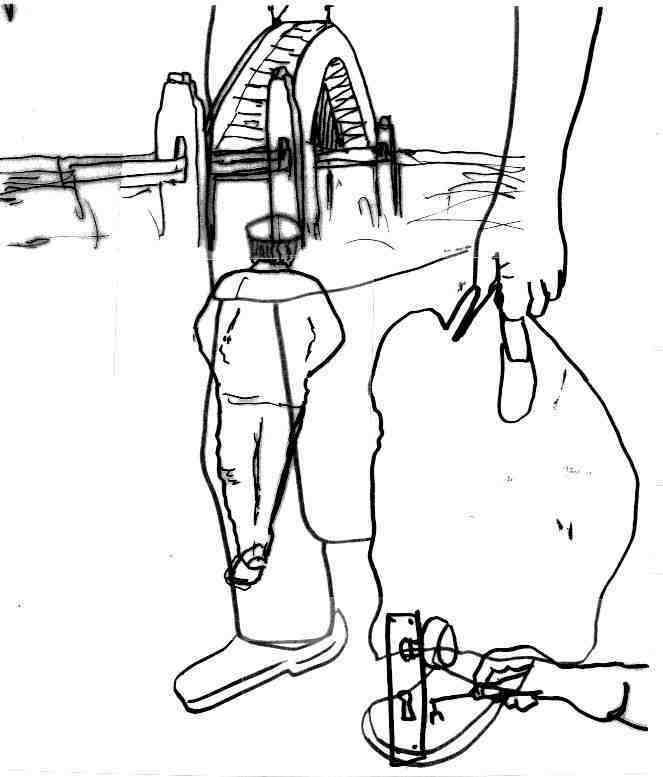 Above and below are two versions of a collage of four pen and ink/felt-tipped pen drawings: Sydney Harbour Bridge, rear view of walking figure, figure carrying a bag, and hand putting key in a lock-that will be included in the first issue of the book. These occur on different pages in the comic but have also been brought together in this collage when I was attempting to form a visual sign or motif as a shorthand image for promotion of the comic. A possible poster perhaps…? Sydney is the setting. There is a shopping expedition. Walking on the street takes place. And there is the act of unlocking with a key or electronic card of a container and a door. There is also linear drawing and sketching in pen and ink and felt tipped pen and there is the use of collage. 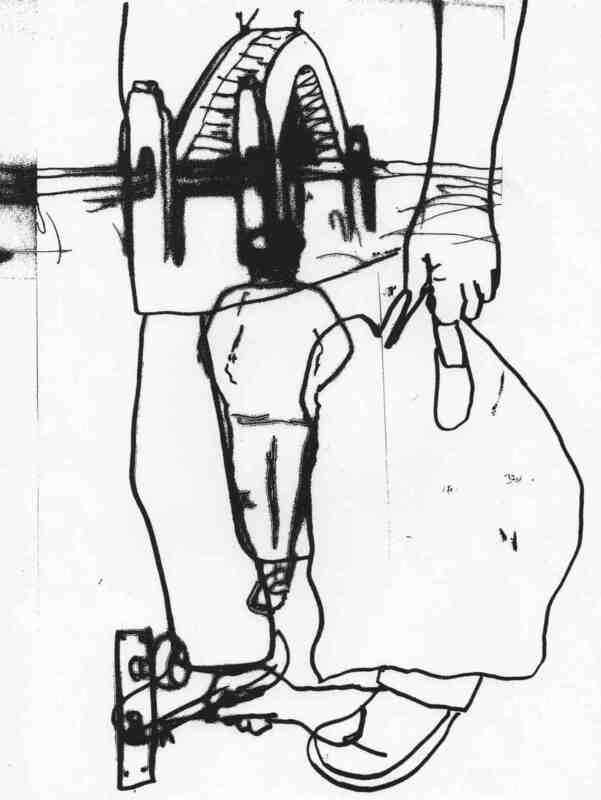 Follow the vertical line of the leg of the figure carrying the bag and the position of the door handle to see the compositional differences between the two collages. This entry was posted in Art, Blotting Paper, Comics, Japanning and tagged artist book, collage, drawing, motif, pen and ink, shopping by Doctor Comics. Bookmark the permalink.